Basel is one of the important cities of Switzerland. 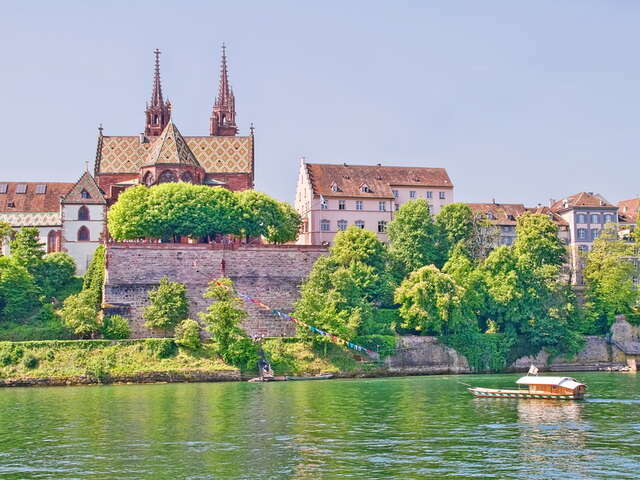 One of Switzerland's underrated tourist destinations, Basel has a beautiful medieval old town centre, a vibrant Carnival, and several world class art museums built by architects like Renzo Piano, Mario Botta and Herzog & De Meuron. Basel is also rich in architecture old and new, with a Romanesque Münster (cathedral), a Renaissance Rathaus (town hall), and various examples of high quality contemporary architecture, including more buildings by Herzog & De Meuron, Richard Meier, Diener & Diener, and various others. Located in the Dreiländereck (three countries' corner), Basel is a gateway to the Swiss Jura mountains and nearby cities of Zürich and Lucerne, as well as the neighbouring French region of Alsace and the German Black Forest.